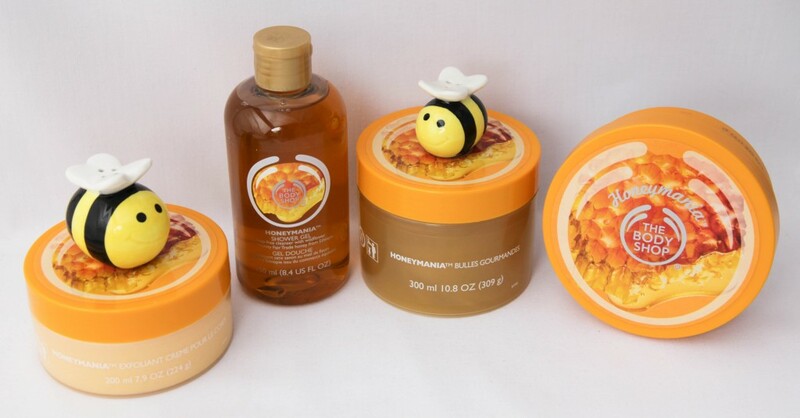 There was a huge hype about this range before it hit the shelves (and even after) and because of the hype, I was really looking forward to smelling the Honeymania range. I was hoping the scent wouldn’t be too sickly sweet, and was happy to discover it wasn’t a strong honey fragrance at all. Honeymania is loved by quite a few well known international beauty bloggers, for example Essie Button describes it as ‘perfection’. I bought 4 of the 6 products in the range, I decided to pass on the lip balm and the soap (I own too many lipbalms, and I’m not really a fan of solid soap). The Honeymania range has a beautiful floral scent (top note) and somewhere in the mix a scent of honey lingers. My first whiff was completely floral, but the more you sniff the products, the more the honey fragrance emerges. The whole range contains community fair trade honey harvested from the nectar of wildflowers. As mentioned above, each pot contains community fair trade honey retrieved from the nectar of thousands of wildflowers. That is exactly what this smells like – flowers, the honey scent is more of a second note. What I like about this scrub, is that 1. it’s a creamy scrub, and 2. it’s a mild scrub, no harsh granules that will irritate the skin. With my 50% discount voucher I paid R 65,00 (normal price is R 130,00). I bought this as a little gift for my mom . This is a soap-free shower gel and has the rich, floral signature Honeymania scent. Smells divine! With my 50% discount voucher I paid R 45,00 (normal price is R 90,00). I knew this would be the first product I tested when we arrived at The Body Shop. It’s a new product (for The Body Shop) and I wanted to see what the consistency was like. It’s basically bubble bath in a jar and although I think the packaging is different and cute (normally a bubble bath would come in a bottle), I think they should have made it a bit more user-friendly. Maybe include a cute plastic spoon or even one of those honey dippers, that would have been super cute! Because with the jar, you are forced to tilt it and might end up using more product than you intended to. The scent of this one is very soothing, I love it! I paid R 80,00 with my 50% discount voucher (normal price is R 160,00). I have only used this body butter twice so far, and I must say, I am loving it. It literally melts into the skin as soon as you apply it. For some reason, the consistency of this body butter feels different to the others from The Body Shop. This one is ‘easier’ to work with, none of all that rubbing. The mature florally-honey fragrance lingers on the skin but doesn’t overpower at all. I paid R 70,00 with my 50% discount voucher (normal price is R 140,00). All in all I really love the subtle fragrance of this range, it’s a welcomed change in my humble opinion. Will I repurchase any of these items at full price? Hhhmmmm, I’ll have to give them a proper testing and will let you know. 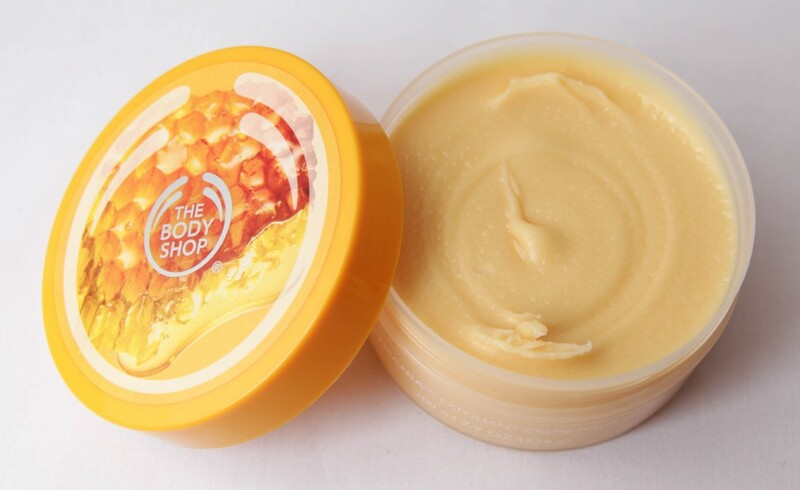 My only wish for this new range is that The Body Shop will include the Honeymania Eau De Toilette (which is available overseas) in the near future. Love the scent! It’s my fave BS scent now. Haha! I always try to check the butters and scrubs before I purchase them, it’s the inner OCD blogger in me. Thanks for the gift my dear! The shower gel really is great, soft on the skin and smells delicious! Now I know more about the benefits of honey, thanks! Oh My Goodness! I agree those bees are darling, super cute! I’m so tempted to get the bath melt, it just looks SO luxurious I thought that the packaging was a little silly, as you mentioned they should have added in a spoon or scoop. Thanks, Jane! 🙂 When I saw the bees sitting in my cupboard, I knew I had to use them as props! You need to get the bath melt, and body butter. The scent lingers for the longest time and I’ve had 2 complete strangers ask me what perfume I’m wearing! I love your idea of a honey dipper for the bath melt, that would have been adorable! I haven’t smelled anything from this line yet, but it sounds lovely.